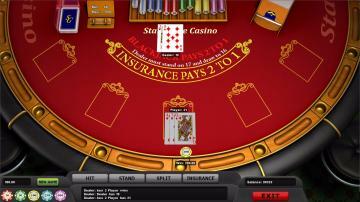 Blackjack is the game that has obtained recognition all over the world. Now, having appeared in the online mode, it has become accessible for everyone. 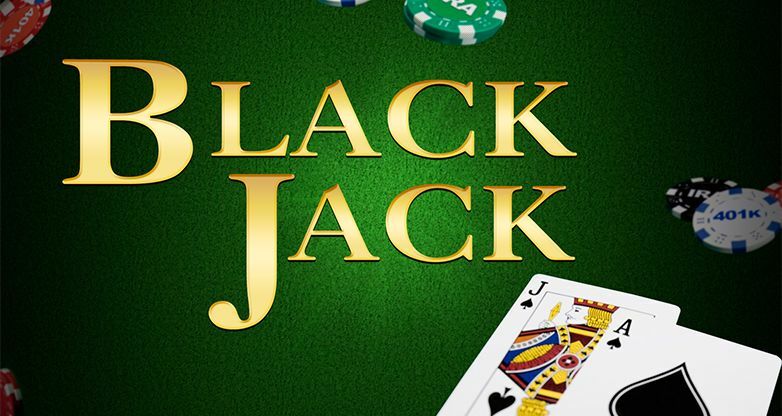 No wonder that the popularity of Blackjack is growing – now you can enjoy your favourite game with maximum comfort at any time. Obviously, StarGame Company took notice of such an interesting game. The main objective is to beat the dealer. After the bets are made, the player and the dealer get two cards, and one of the dealer’s cards is face up. The value of each card is determined the following way: from two to ten are counted at their face value, ace counts as 1 or 11, images (jack, queen and king) – 10. The winner is the one who get the largest number of points, but not more than 21. The sum of points exceeding 21 means loss. 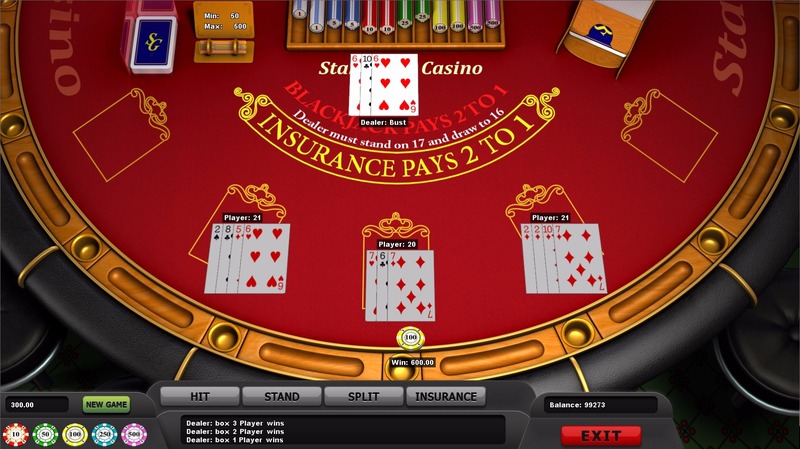 If the player gets 21 points immediately after the cards are dealt, it is called Blackjack. 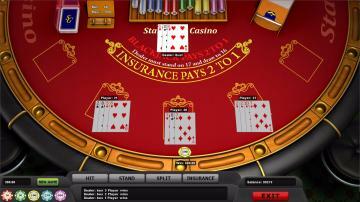 In this case you are paid the winnings at the 3 to 2 ratio right away. If the sum is less than 21, you can keep the starting hand with no changes (stand) or take more cards (hit). The dealer can also take cards, if the sum of his points is less than 17. If you are not sure whether you can beat the dealer, you can return the half of your bet (it is called surrender), except for the situation when there is an ace in the dealer’s starting hand. In this case you can insure you bet. Then, if the dealer gets Blackjack, you are paid the insurance payment. You can split the cards of the same value that are dealt to you and play with an additional hand (so-called split). If the player and the dealer have the equal number of points on hands, the bets are returned. One can think about the rules and strategies of the game for long, but it is better to try everything in practice. Do not miss your luck!